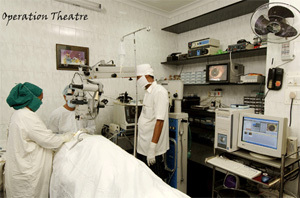 Here is a brief insight into the various services provided to patients at Drushti Eye & Retina Centre. Laser treatments have been a great help in the prevention and treatment of diabetic patient and various retinal disorders. 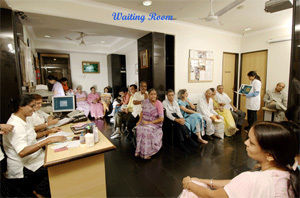 It is an OPD procedure, recovery is quick and one can resume work immediately after. Modern vitreo retinal techniques are now available to help treat patients who suffer from advanced vitreo retinal disorders. The technique has brought vision to even those patients that had lost all hopes of being able to see clearly again. Complete indoor facilities with homely atmosphere enables patient to relax when they are recuperating from their difficult illness. 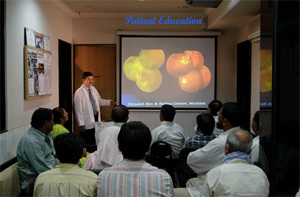 Dr. Vatsal Parikh believes in educating people about various Eye Diseases and emphasising about their prevention and treatment in simple language. Dr. Vatsal Parikh periodically teaches Post graduates on various Retinal Disorders with plenty of patient materials and illustrations. Dr. Vatsal Parikh is very open to what he does. He shows all surgeries live by high definition LCD tv in waiting lounge.